As medical tourism grows to become a worldwide phenomenon, increasing attention is being paid to issues such as quality of treatment, accreditation and certification of hospitals, clinics and agencies involved in the sector. You can search the IMTJ Medical Travel Directory for accreditation and certification providers by country or keyword. Organisations can benefit from a free basic listing or a Featured Profile on IMTJ. Submit the form, find out more about our advertising packages or contact our sales team. 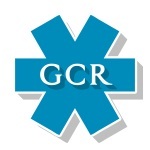 The GCR is the international standard for medical clinic accreditation & clinic ratings. You can now evaluate the apparent standard of any particular medical clinic, anywhere in the world.